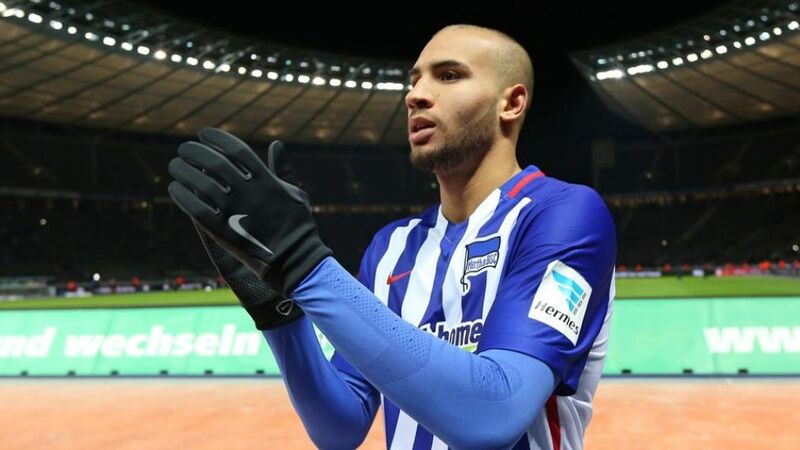 The good news just keeps rolling in for this season’s surprise package Hertha Berlin, who were able to announce that star centre-back John Anthony Brooks had extended his contract at the club until 2019 ahead of their top-three clash with Borussia Dortmund on Matchday 20. The agreement was announced shortly after the six-goal thriller with SV Werder Bremen, when sporting director Michael Preetz took to social media to tell the fans about the American’s decision to commit his future to the club. In a collaborative interview with Hertha Berlin’s official website and bundesliga.com, the 23-year-old discusses what influenced his choice to remain in the German capital, how he envisages the season playing out for Hertha and the difficulty of taking on BVB on Saturday. bundesliga.com: John Anthony Brooks, you’ve extended your contract with Hertha Berlin. How relieved are you that the deal is done and dusted? John Anthony Brooks: I’m very happy because this agreement means a lot to me! Brooks: Everyone knows that Hertha are my club. I feel incredibly good here, have made the step up as a professional footballer and taken the most important steps of my career so far with this club. The club and all the fans are incredibly important to me. Berlin is my home – to be able to play for my club and my city is a fantastic thing. bundesliga.com: It has been known for a while that the club have been intent on extending your contract, which was due to expire in 2017. What made you decide to sign on until 2019 now? Brooks: I had a lot of intense talks with the sporting director. For a long time, he always kept following up. I found his perseverance and confidence in me absolutely brilliant, it showed me how appreciated I was by the club. It’s important for me to always think things through thoroughly before I make a decision. You’ve got to plan everything out and then decide what’s right for you. Now was the time to do that, this step is the right step and I’m very satisfied. bundesliga.com: Hertha play Borussia Dortmund in one of the weekend's standout encounters. How highly do you rate BVB and how can beat them? Brooks: There isn't an awful lot more you have to say about Borussia Dortmund. Along with FC Bayern, they're the best team in the Bundesliga. It's going to be a difficult game, but we go into the match with confidence. Of course we want to beat them in front of our own fans - like we did last season. We'll be working extra hard this week to try and make it possible. bundesliga.com: The Carolina Panthers take on the Denver Broncos in Saturday's Superbowl. Are you planning on watching the game? Who do you think will win? Brooks: Yes, I will definitely watch the game with some of my friends. We're all really looking forward to it! It's difficult to say who will win - both teams have done well recently and deserve to win. I don't really have a preference, I wouldn't begrudge either of them the victory.